The new owners aren't changing too much. 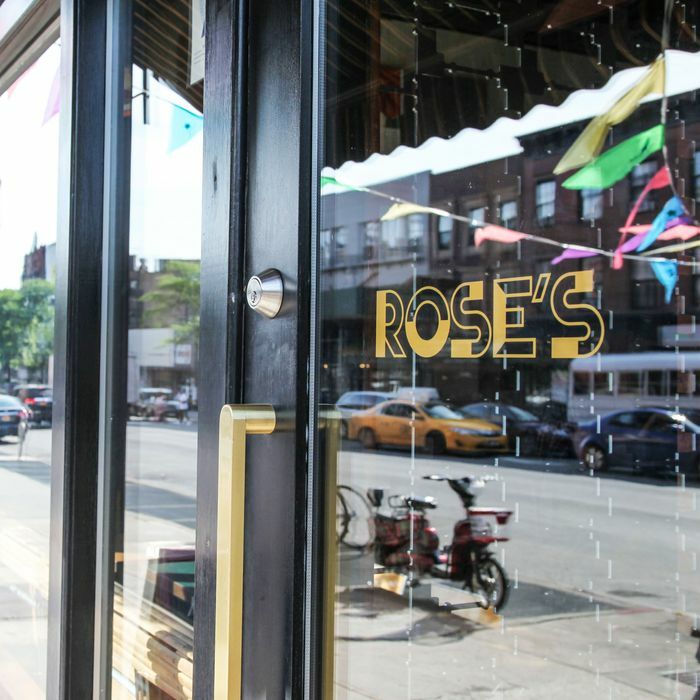 Now the couple has decided to sell Rose’s to the current managers, Alicia Nicolette and Kate O’Connor Morris. The plan, Morris says, is to keep things pretty similar, such as the name, which won’t change. When the duo officially takes over on April 1, though, there will be some tweaks, starting with food service that runs later, ending at midnight on weeknights and offering a “whimsy” bar food menu that goes until 2 a.m. on weekends. Speaking of food, there will also be a new executive chef, Buzz Frazier, who is currently the chef at Bklyn Larder, the Flatbush grocery also owned by Stephens and Feinberg.